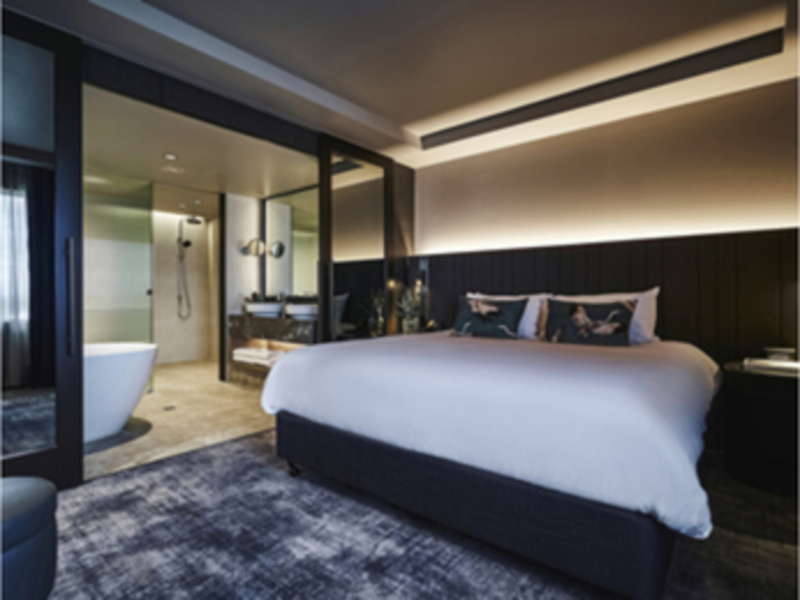 Located just 24 Kilometres from Melbourne Airport, Pullman Melbourne On The Park hotel is in the heart of East Melbourne within the city's main sports and entertainment district. It is directly opposite Melbourne Cricket Ground and enjoys stunning views o f Fitzroy Gardens, Rod Laver Arena and Melbourne Park, home of the Australian Open tennis tournament. The Cliveden Dining presents fresh local produce in Mediterranean and European-inspired cuisine. Experience a modern a la carte menu celebrating the rich diversity of Melbourne's renowned culinary heritage. Celebrate, blow off steam or simply take a breather at the Cliveden Bar. Sharing plates can be accompanied by European and local craft beers, ciders, a curated list of superb Australian wines, and signature cocktails conjured by resident mixologists. As always, helpful, professional service. I like the location and ease of parking. Customer service is always good. The whole hotel really needs an upgrade, it's all so old and a bit broken. Pillows are terrible. No vegan options on in room dining options and no recycling capabilities in bedrooms. Terrible environmental policy. Just a total lack of care. Very Disappointing. We flew to Melbourne from Brisbane for our wedding anniversary and it all started very poorly on or arrival and there was no booking. It did not get any better after this. We very much appreciate your comments regarding your experience at the Pullman Melbourne On the Park. It is always a pleasure to receive positive feedback. I will share your comments with our team. I am sure that this feedback will serve as an encouragement to all of our staff as we strive to continuously improve the quality of our services. Thank you again for sharing your experience, and we hope your next visit will be as pleasant as the previous one. A very good stay, thank you. Enjoyed the lovely people at Cliveden, including the attentive head manager, and Lihn and Andrey, and finally Avo as usual who came around to see us as it was our third stay. Great breakfasts. The rooms really are showing their age and look quite tired — not a criticism of the staff, but simply of what they have to work with. Accor would do well to refresh, but understand there are costs involved which would, in turn, likely lift fees charged. Everything was great. We got an upgrade on our room, service was first class and enjoyed our breakfast the next morning using our Accor Silver card. Very enjoyable with great service. Staff were very attentive/responsive and professional. Standards of presentation and cleanliness were excellent. Great stay and staff were very attentive. I asked for a room with a balcony and I was granted this request. The staff at reception were great and the communication via email before my stay was excellent as well. The room was great and the gym/pool facilities are very good. Also get a warm welcome, always get a note in the room. Good service always. Everything was great, the room was nice, I appreciated the gym and sauna! The buffet breakfast was also really amazing, I had plenty of choices even as a vegan! Lovely stay to celebrate our wedding anniversary! Staff were excellent, we were upgraded to a suite which was a lovely surprise. Food was also very good (we ate all of breakfast, lunch & dinner at some point during our stay). I would like to call out Nicole (on the breakfast shift on 12th & 13th April) for her excellent customer service and attention to detail, plus remembering the detail the following day. Thank you! Thank you for a great evening. Level 18 was very nice. I think however, think $120 for a late checkout is too expensive; I didn't have a choice but to use this because my wife suffers chronic pain and sometimes cannot get out of bed early. Great service, polite and helpful staff. Food excellent. Lovely room. 2 nights for a work conference at the Pullman- everything ran very smoothly from (early) checkin onwards. Beautifully appointed room on 9th floor, a window that actually opened (ahh fresh air), comfortable bed, lovely toiletries. Concierge was helpful with transport. Location short walk to city, right opposite MCG, tram stop across road, beautiful park next door. Delicious food and coffee with the conference and excellent conference facilities. Spectacular fresh flowers in lobby.